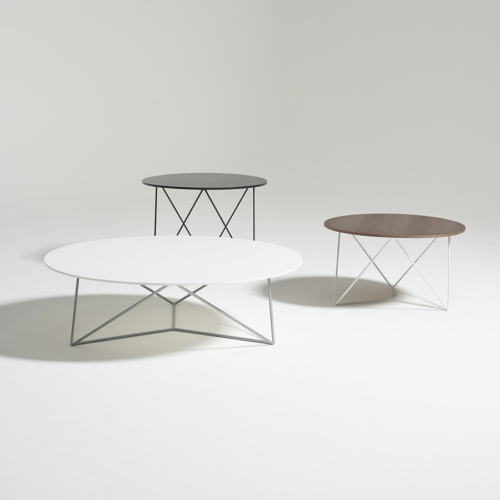 Stem, combines the convenience of an occasional table with the elegance and appeal of a fine work of art. The slender, clean lines of the eye-catching base design add visual significance to this understated statement piece. Seemingly different from every angle, every inch of the base adds an enticing charm to the artistic design of Stem. From one side you see a crisscross pattern, from another the angles of the base design create a geometric minefield, like a latticework of clean, metal lines.